One of the toughest issues facing youth sports today is pressure on players and their parents to have children specialize in a single sport before they are ready and to play that sport year-round. Ironically, while many youth programs pursue early specialization, telling parents it is necessary so that their children do not fall behind in chasing any scholarship opportunities, most coaches who do the actual recruiting prefer multi-sport athletes. Athletes who play multiple sports tend to be more well-rounded as players and people due to their variety of experiences and less susceptible to overuse injuries. Players should bend their knees and begin dribbling back and forth swinging the ball from right to left low and quick below the knees. After 20 seconds, the player will dribble at knee level and continue for another 20 seconds. 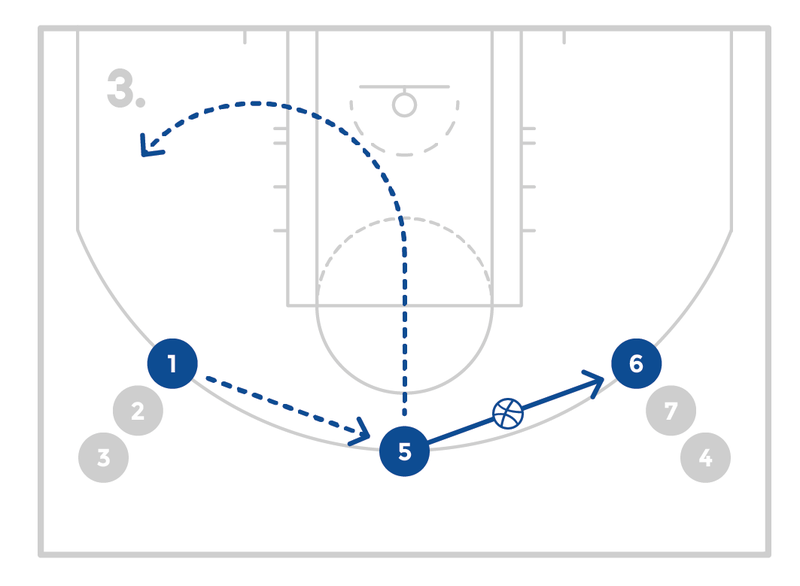 Last, the player will dribble the ball higher swinging it from from side to side for 20 more seconds. Keep the players in a good stance with their chest and eyes up. Remind them to use their fingertips and push the ball back and forth from side to side with quick dribbles to improve coordination and ball control. Have two lines facing each other (or more based on numbers). 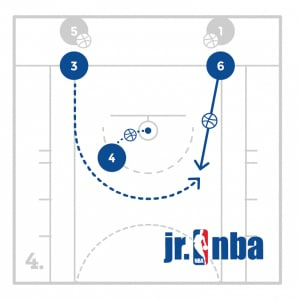 With one ball, have the player with the ball pass to the line across from them and then run to the back of that line. The new player with the ball will repeat the same action of passing to the other line and running to the back of that line. 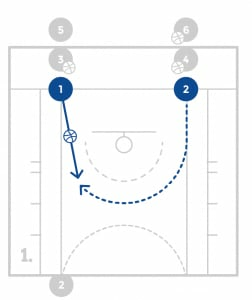 Dictate to the players to pass and run to the right side of the line so they do not run into the next pass. Work on quick passes, showing a target and calling each others names. 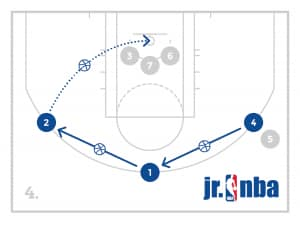 Group the players into three lines facing the basket around the 3-point line (1 line on each wing and 1 line at the top of the key). The first person in each line should have a ball and dribble in for a lay-up. 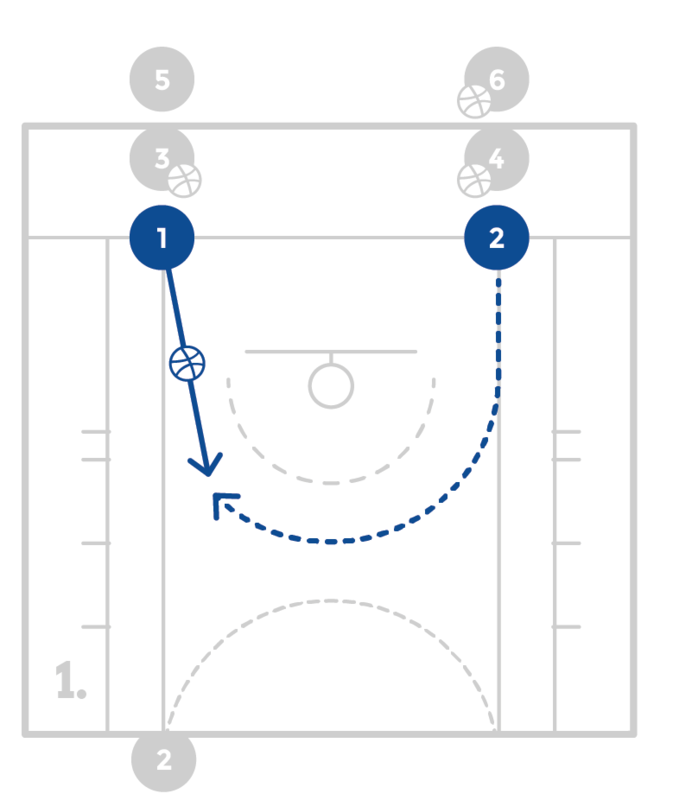 After the lay-up, the player will get their own rebound, pass it to the next person in line and go to the back of the same line. 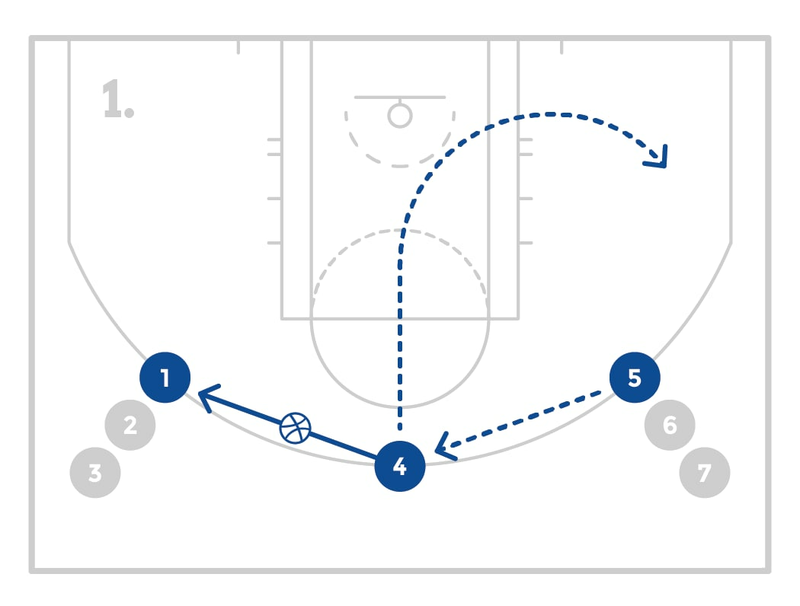 The players in each line will have different finishes (right hand and left hand from the wing and a lay-up with no backboard in the middle). 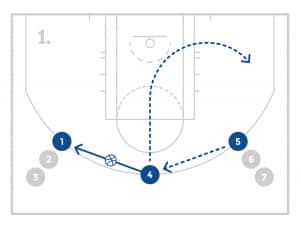 Mix in different finishes such as the euro step. After 90 seconds the players will rotate lines. Note that there will be multiple players shooting at the same time. Remind the players that in a game there will be other players close to them as the try to score and it’s ok. Work on finishing lay-up in a variety of ways. Have each player get a ball and start in 1 line on the baseline (be sure to utilize multiple baskets). 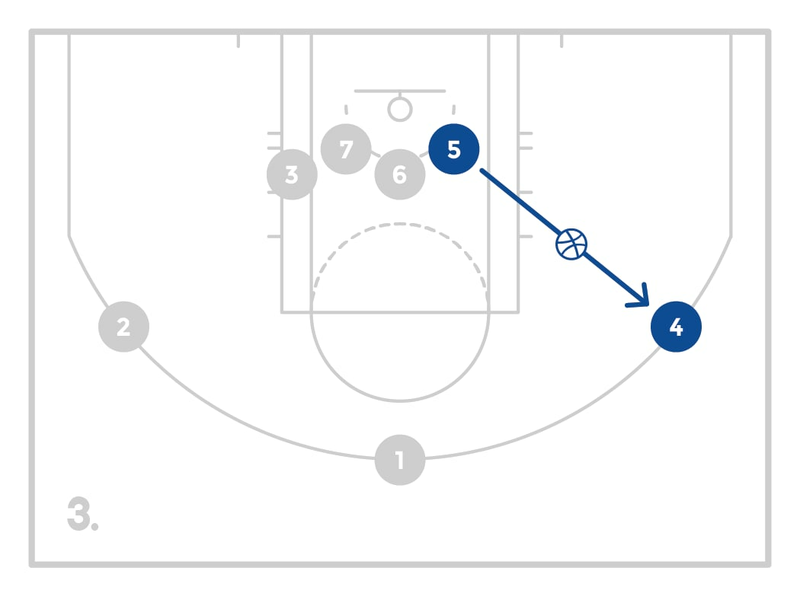 Place 3 cones around the paint, 1 just above the block, 1 in the middle of the lane and 1 just above the opposite block. Have the players spin the ball out in front of the first cone, move forward and step into the ball with their inside foot. Once square and balance repeat the process moving to the cone in the middle of the paint. 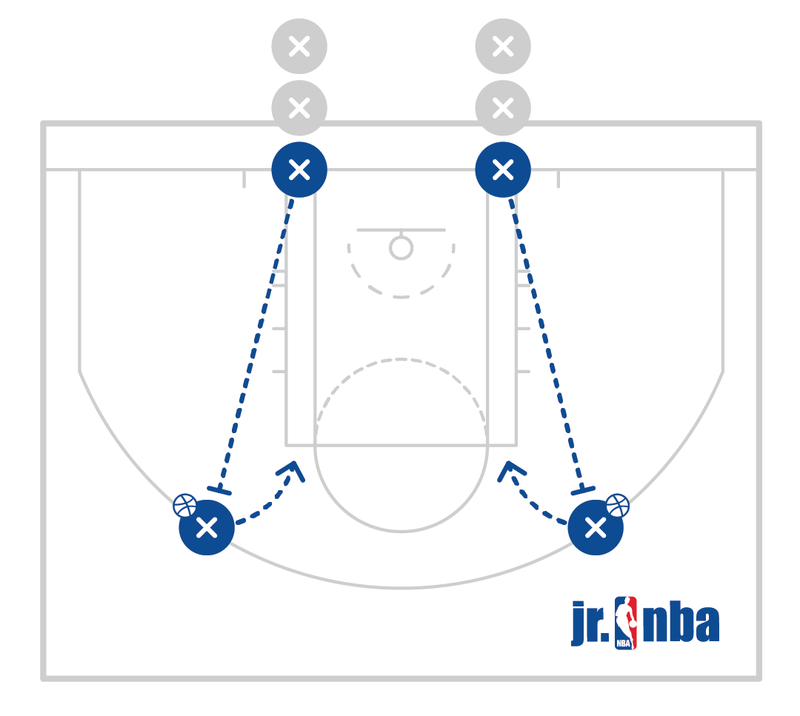 Again once square and balance repeat the process moving to the 3rd cone where the player will plant their inside foot and this time shoot the ball. 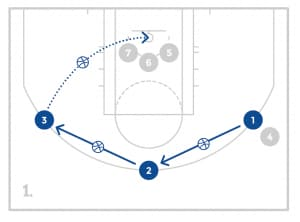 The player will get their rebound and go to the back of the line. The players are allowed to start once the player in front of them is at the middle cone. Work on balance and good footwork. Be sure to go both directions. Have the players start on the baseline in balanced lines. 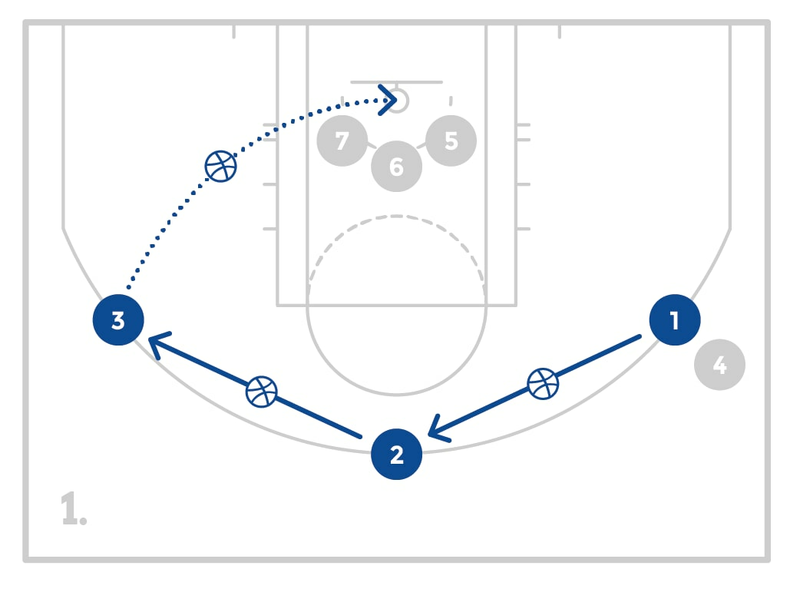 On the coach’s command the first player from each line will run at 75% speed down the court. At half court, the players will turn to running backwards all the way to the baseline. Ensure that the players stay balanced and turn efficiently into their backpedal. 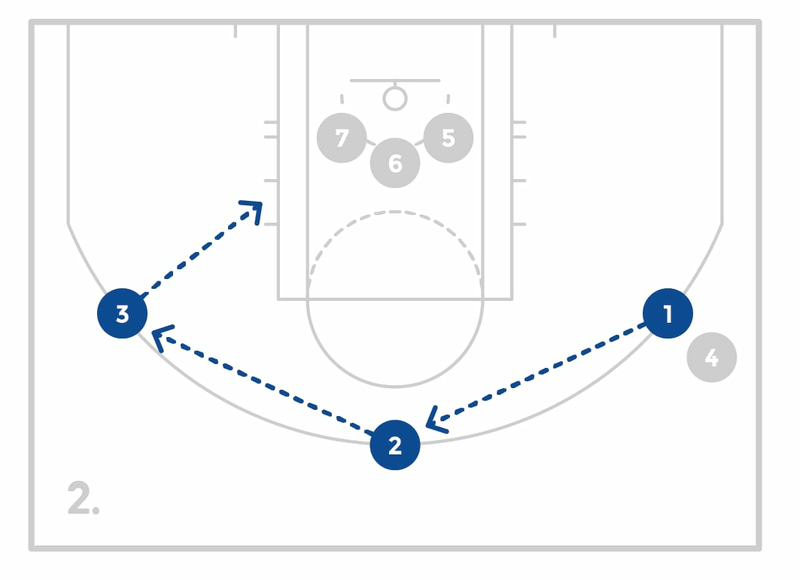 The wing with the ball will pass to the top where the player replaced. get to the offensive player quickly or they will have an easy shot. 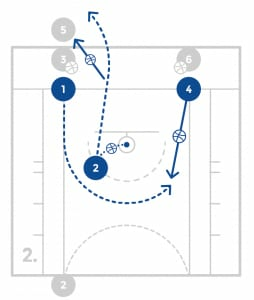 However, the defender must go under control or the offensive player will easily drive past them. When closing out, it is important to have 1 hand in the air to discourage the offensive player from shooting while also maintaining a good stance with the knees bent and ready to move. 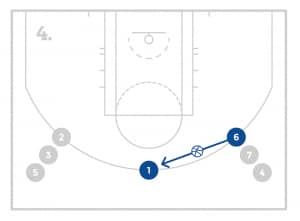 Have 1 player start on the wing and have a line of players on the baseline with 2 balls in the front of the line (add other lines and players on the perimeter based on numbers. 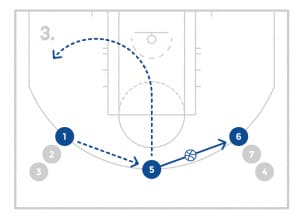 The first player in line will pass the ball to the player on the wing and then make a good close out. 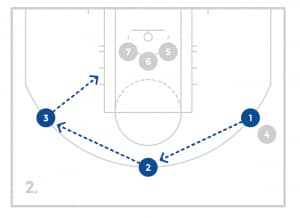 After the close out, the offensive player will go to the back of the line and the defensive player will become the offensive player on the wing. Continue this process working on good close outs for the allotted amount of time. 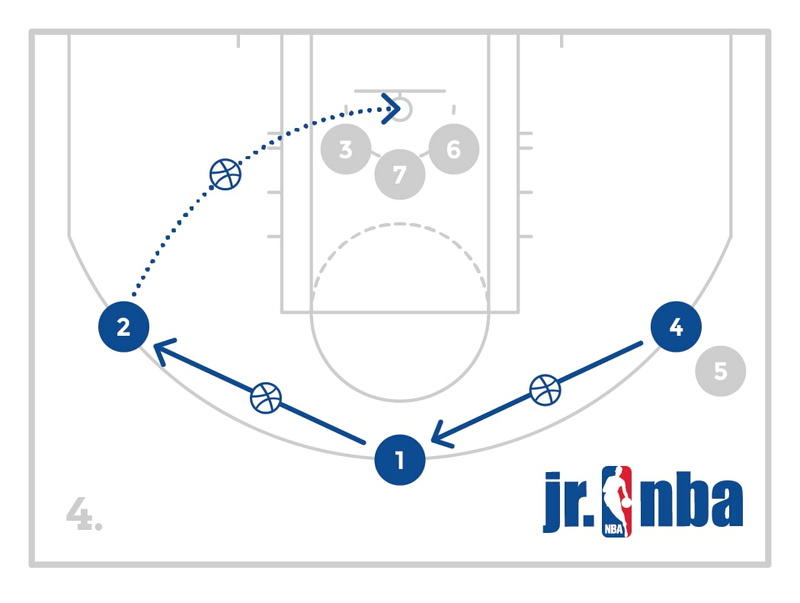 Have players line up in two lines on the baseline and a player on each wing (utilize multiple baskets if possible). 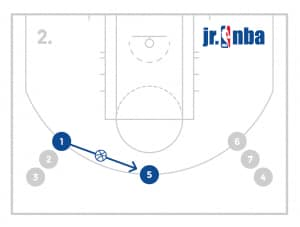 The first players on the baseline will pass the ball to the players on the wing and close out with good form and play defense. The offensive players have to stay on the half of the court they start on and are only allowed 3 dribbles before shooting. If the player scores, they will stay on offense and a new player on the baseline will become the new passer and defender. If the defender gets a defensive stop, that player will become the offensive player. Compete until a player scores 6 baskets and switch sides of the court. Make sure the players chop their feet down, and put their hand up on the close out before working hard to stop the offensive player. Make sure the offensive players use good, quick, efficient moves.